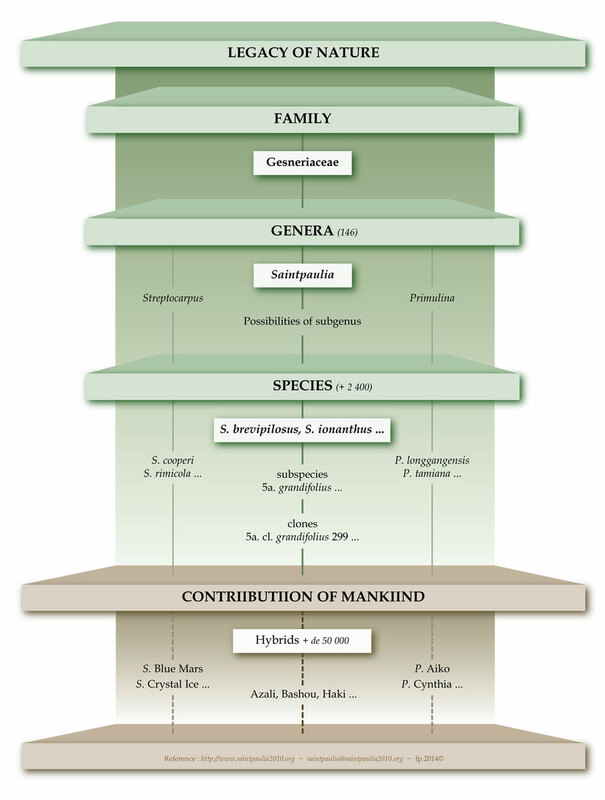 Gesneriaceae, genera, species, subspecies and clones, and what is their place in the hierarchy. Here is a chart that should help you to understand. The center information relate to the lineage of the African violet. The left and right information only give examples of other genera, species and hybrids.